89.08%, 43.57%, 40.24%, 32.75%, 38.14%, 49.36%, 29.89%, 39.93%, 29.83%, 31.63%, 30.05%, 50.82%, 86.54%, 54.86%, 66.68%, 69.58%, 67.15%, 47.38%, 28.93%. 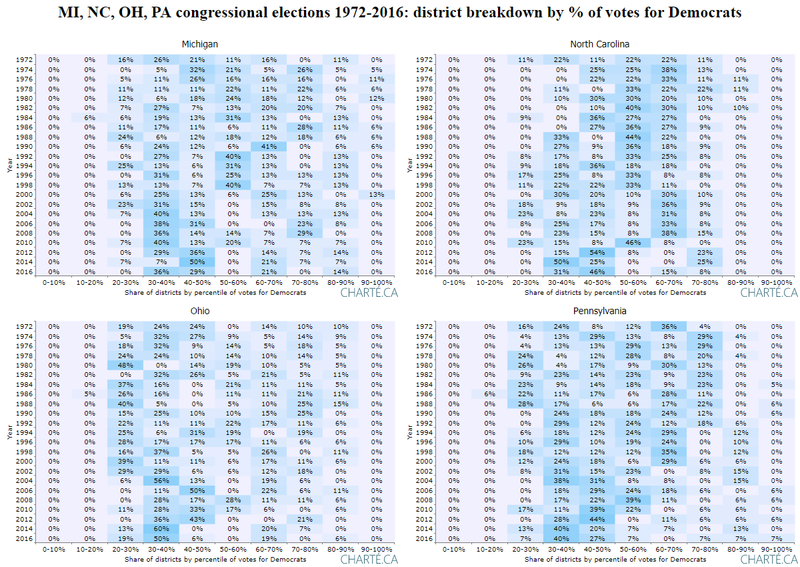 The following are four heatmap charts that visualize Democratic votes breakdown for these fours states. 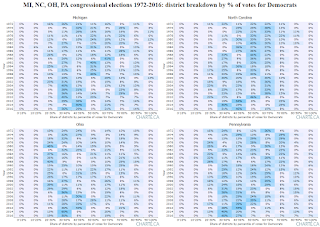 Watch districts gravitating towards 30-50 democratic vote percentiles since 2010.